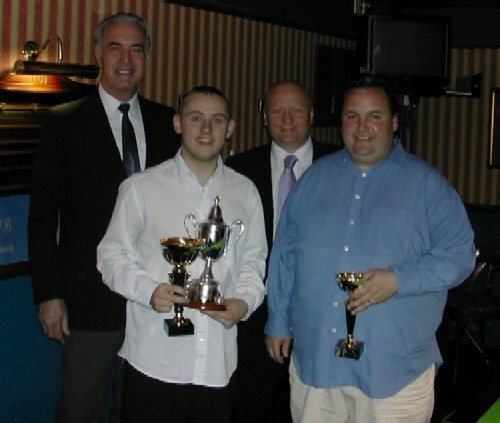 The eagerly awaited West of England Snooker tournament that took place at the Rileys Snooker and Pool Club in Plymouth was hailed as a major success. The tournament, resurrected by Derek Brooks, Secretary of the Cornwall Amateur Billiards & Snooker Association in conjunction with Devon County Billiards & Snooker Association and the West of England Billiards & Snooker Foundation was sponsored by the Penventon Park Hotel, Redruth and was won by England International Mike King of Rileys Club, Exeter. King beat Steve Downing (Redruth) 3 – 2 in an hotly contested final. The match was always going to be an hard fought tactical game following their very competitive group match. King was first to take the initiative forging into a 2 – 0 lead only to watch Downing claw the match back to level at 2 – 2. With such a prestigious title up for grabs the nerves began to show going into the deciding frame. 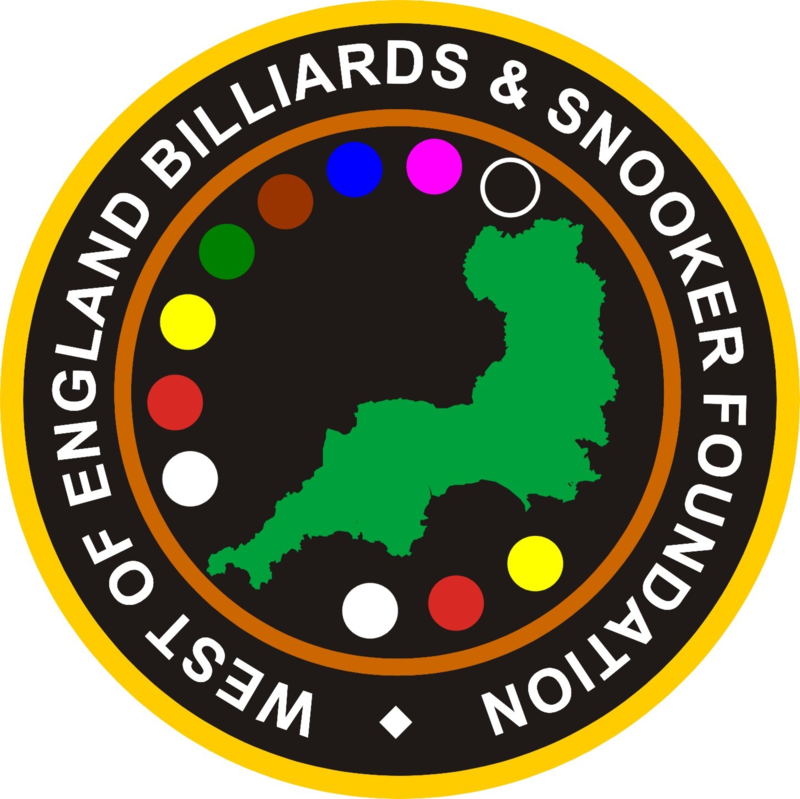 With the scores neck and neck Downing laid a lovely snooker on the blue with the cue ball tucked in behind the pink and only the last three balls remaining. King failed to escape the snooker. Downing with the choice to have King play again or attempt a difficult pot into the middle pocket elected to take on the risky pot on and missed. This gave King the opportunity to win the frame and match which he duly did taking the title 3 – 2. In the semi final King had a hard-fought match against fellow England team-mate Andy Radford (Exeter). King won the first frame with the help of a 40 break only for Radford to level the match with a superb break of 61. The deciding frame was a tense affair with the frame going to a – black. After several safety shots and a few twitches King pulled out a long pot to sink the black and win the match 2 – 1. The other semi final between Downing and Gregg Batten (Tiverton) saw the talented Batten put up little resistance giving Dowing a comfortable 2 – 0 victory aided by a 36 break. The first of the quarter finals matched King against the Falmouth youngster Bobby Southworth. King defeated Southworth 2 – 0 in a highly entertaining match King producing a classic match winning break of 91. Onlookers were treated to another highly entertaining quarter final match between two players from Tiverton Batten and Darren bond. The game was in the balance and could have gone either way with the pair producing some excellent snooker but it was Batten who held his nerve to come through a 2 – 1 winner. In the third quarter-final Downing narrowly defeated group D winner Wayne Woodger (Exeter) 2 – 1. The fourth quarter-final pairing saw group A winner Radford come back from a 1 – 0 deficit to defeat Tavistock player Andy Symons-Rowe. Group A was closer than the final placing suggest with only four points separating the top four players. There were twenty breaks over thirty and placings were not decided until the last fixture was played. Darren Lock (Seaton) needed to win his last two matches to finish top of the group. The first of the two opponents was Darren Bond, who also knew if he beat Lock then he would qualify to the knockout stage. Bond after winning the first frame missed a red in the second, and watched Lock compile an impressive 64 break to level the match. The deciding frame again saw Bond wobble a red and let Lock back at the table. Lock composed himself and had an exceptional match winning break of 97, breaking down on the last red. Lock had potted ten reds and blacks before having to take the blue with the eleventh red ending a possible maximum opportunity. Bond had to sit it out and wait for Lock to play his last game to see if he was still in the tournament. Lock’s last game was against Radford was his undoing losing 2 – 0. The group was eventually won by Radford, who won all six matches dropping only two frames. Earlier on Radford missed the yellow ball while on a 97 break in his 2 – 1 victory over Mike Day (Plymouth). Bond was runner-up in the group recording five breaks over thirty with the best being a 58 against Grant Cole (Plymouth). Cole finished third posting six breaks above thirty. Day gave a good account of himself in this tough group making a fine contribution of a 74 break in his match against Kieren Lynch (St. Blazey). Lynch and Andy Martin (Redruth) were left pondering over missed chances against the other players in the group. Group B winner was King who only dropped one match, to Adrian Bond (Tiverton) 2 – 1 after making a 74 break. King recorded a 59 break in his 2 – 1 victory against Wayne Branton (Plymouth). In an explosive match between King and Downing, King ran out the winner making a brilliant 92 break in the deciding frame. Downing also made breaks of 48 & 33 in this match. Downing finished runner up in this group and Branton finished third. Branton’s best result was a 2 – 1 victory over second placed Downing where he constructed a lovely 67 break, breaking down with four reds left on the table. His other breaks included a 44 in his defeat by Adrian Bond 2 – 1. Bond recording a 33. Adrian Bond and Phil Lane (Falmouth) failed to qualify after winning three of their five matches, proving how tight these group stages are. Kevin Hawkins (Tavistock) was the other player in this group. Two players topped group C on eight points; they were Batten and Symons-Rowe. Batten was given the winning spot by virtue of beating Symons-Rowe 2 – 0. An authoritative performance was put in by both players. Batten rattled in six breaks over thirty in his first two matches demolishing Danny Wicks (Plymouth) 2 – 0 with a trio of breaks, 56, 53 & 31. He also repeated this feat in his 2 – 0 victory over group runner-up Symons-Rowe recording breaks of 67, 57 & 34. The youngster Jamie Read (Redruth) could have won this group had he beaten Neil Chiswell (Plymouth) in his last match, However he went down 2 – 1. Read played with a maturity well above his years and it will be a travesty of justice if this youngster doesn’t become a very good player in the future. His best result was an impressive 2 – 0 win over Batten in which Read recorded a 40 break. Another Youngster Danny Wicks deserves a mention for never being afraid to mix it with the big boys and with an impeccable grace and manner with which he accepts defeat is something some of his peers would do well to match. Other notable breaks were in this group were Symons-Rowe 62, 46, 40 & 37 and Chiswell 39. Group D was another group that had two players in joint top spot on nine points. The winning position was taken by Woodger who put in a solid performance, losing only to Terry Kempe (Redruth) who finished third. Runner-up spot went to Southworth who recorded an array of breaks, 45, 39, 37 & 36. Bob Stephens (St. Blazey) finished fourth with seven points. Father and son pairing Les Molley and Fred Short of Rileys in Plymouth, deserve a mention for their sporting attitude and the spirit they showed when they entered this tournament. They knew the level of opposition was very high but nevertheless reveled in the challenge, likening it to playing in the third round of the F.A. Cup. The pair were drawn in the same group and apart from when they played each other, Les beat Fred 2 – 1, other than this, neither of them won a frame but enjoyed the day.